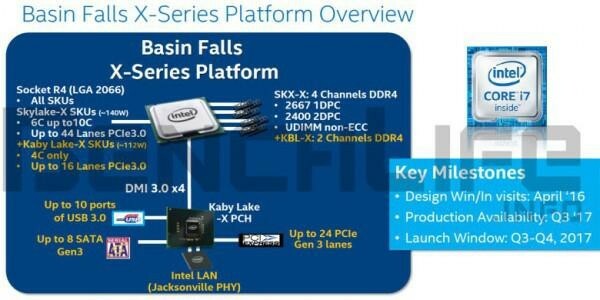 Intel’s next high-end desktop (HEDT) platform which will succeed the current “Broadwell-E” LGA2011v3, the new CPU will be the X-series “Basin Falls” platform. The X-series consists of the “Skylake-X” and “Kaby Lake-X” processors, and a chipset derived from Intel’s upcoming 200-series. 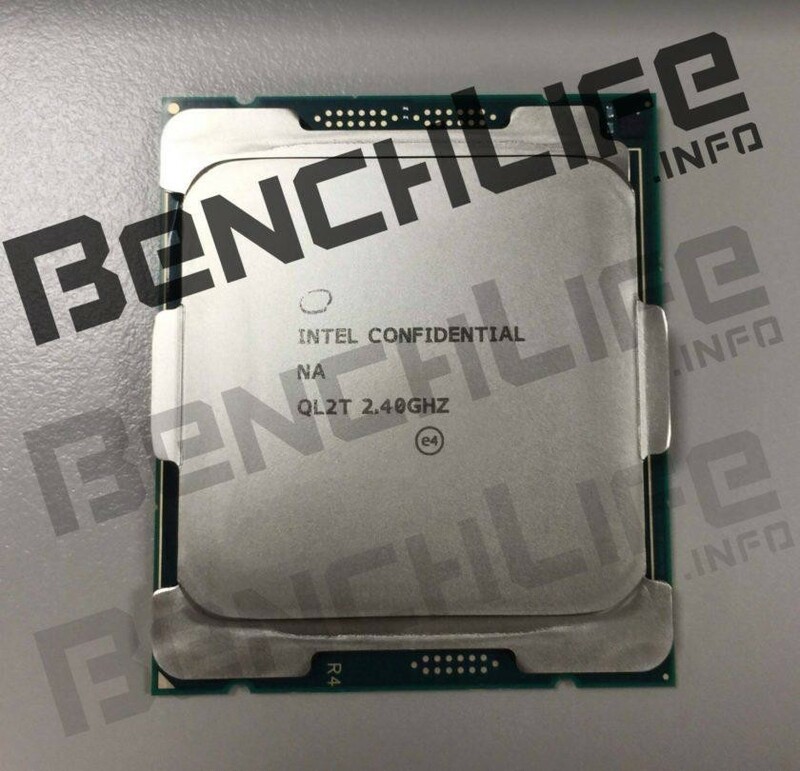 Intel brings new sockets for X-series, the LGA2066. The new “Skylake-X” and “Kaby Lake-X” will be multi-core processors with-out integrated graphics, with double the memory bandwidth and up to triple the PCIe lanes compare to Skylake Core i7-6700 processors. In an unusual move, Intel will launch both “Skylake-X” and “Kaby Lake-X” together. 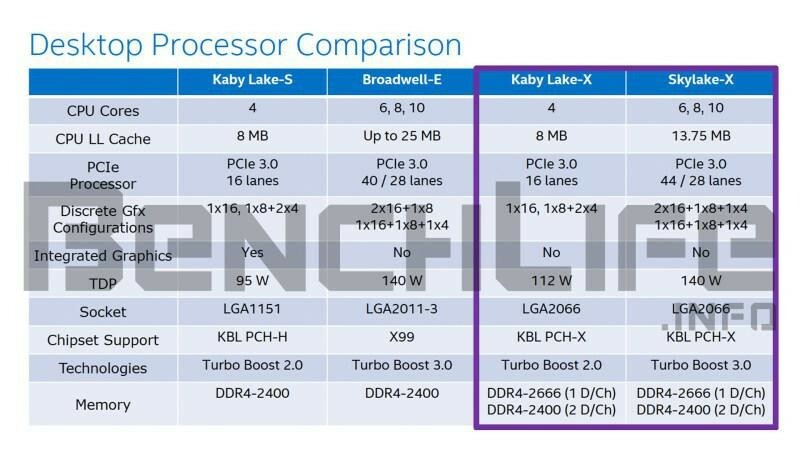 With “Skylake-X” coming in 6-core, 8-core, and 10-core variants; while the “Kaby Lake-X” will initially only be offered in quad-core. The “Kaby Lake-X” CPU will only feature a dual-channel memory bus, and with this CPU half of the DDR4 DIMM slots disabled on the LGA2066 motherboard and also have fewer PCIe lanes. On the other hand, the Core i7 “Skylake-X” processors, will feature 6-core, 8-core, and 10-core variants with all chips featuring quad-channel memory interfaces. Besides the DMI 3.0 (PCI-Express 3.0 x4 physical layer) chipset bus, “Skylake-X” chips will offer up to 44 PCI-Express Gen 3.0 lanes. Interestingly, the chipset will have a much wider downstream PCIe lane budget than Intel’s previous platform from past several generations – with offers a whopping 22 more PCI-Express Gen 3.0 downstream lanes. This means the new platform will have enough PCI-E lanes for driving high bandwidth onboard devices such as Thunderbolt controllers, multiple PCI-Express SSDs, or four cards with 8x PCI-Express Gen 3.0 lanes each. As of now Intel plans to launch the Core i7 “Skylake-X” processors in early Q3-2017 (July-September 2017).